NEW BEDFORD, Mass. — Text messages have been released in the case of a teenage girl who is facing involuntary manslaughter charges for urging her boyfriend to commit suicide, and staying with him on the phone until he went through with it. 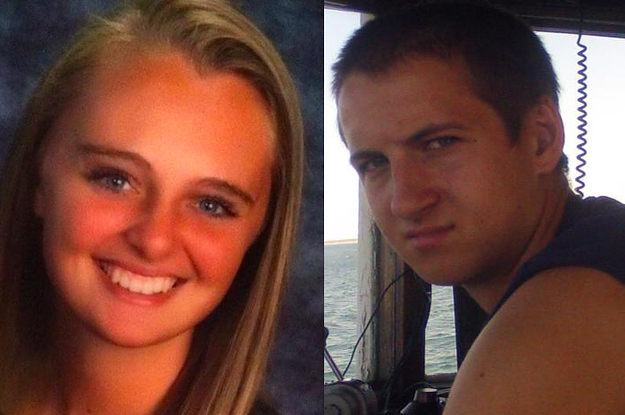 Michelle Carter, 18, was officially charged in February in the death of her boyfriend, Conrad Roy III, also 18, who struggled with depression. He died by carbon monoxide poisoning after gassing himself in his pickup truck in the parking lot of the Fairhaven, Massachusetts Kmart. “From at least July 6th through July 12th, 2014, Carter assisted Conrad’s suicide by counseling him to overcome his doubts, devising a plan to run a combustion engine within his truck in order to poison him with carbon monoxide, and by directing him to go back in his truck after he exited it, when he became frightened the plan was working,” an indictment against Carter reads. Now, the text messages between the two have been released by the Bristol County District Attorney’s Office as Carter’s attorneys are seeking to have the manslaughter charge dropped. “You can’t think about it. You just have to do it. You said you were gonna do it. Like I don’t get why you aren’t,” Carter wrote to Roy on July 12 of last year, according to court documents. Roy, while agreeing to move forward, also expressed hesitancy, worrying about his family. Prosecutors state that the teen remained on the phone with Roy for 43 minutes and continued to urge him to take his life “or I’m going to get you help.” She later contacted his family and asked if they knew of his whereabouts. Roy’s parents soon filed a missing person report, and his body was discovered in the parking lot of the local Kmart. Carter went on to organize a suicide prevention fundraiser in memory of Roy, but prosecutors note that she admitted her involvement to a friend via text, stating that Roy got out of his truck as he became frightened of death, and Carter urged him to go through with it. Carter’s attorneys are seeking to have the involuntary manslaughter charge dropped, contending that she had also encouraged Roy to obtain help at a mental health facility. They allege that Roy had originally wanted Carter to die with him in a Romeo-Juliet pact and that she was “brainwashed” into helping him. Carter is set to appear in court on October 2, at which time it will be decided whether or not the charge will be dropped.